An expert in and passionate about the illustration and design of prints, Paula Pappenheim has significant experience in the world of design: she studied Fine Arts at the Complutense University of Madrid, and Graphic Design at the Pratt Institute of New York, and later specialised in Print Design for Textile and Surfaces, obtaining a Masters degree from the IED of Madrid. 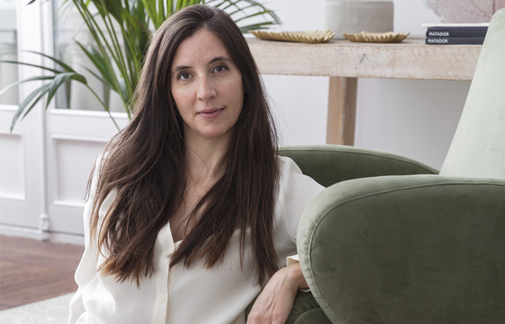 In 2006, she founded Pappenpop, the workshop where she designs all her illustrations that she uses for all kinds of home textiles, wallpaper, rugs, fashion and accessories, packaging, fragrances, perfumes, porcelain and an endless list of everyday objects. Her connection to the world of interior design and decoration is evident in her collection of Ornate rugs, inspired by the illustrator’s admiration and passion for classical Persian rugs, but also by her desire to transform these magnificent accessories, with their palatial graphics, into something softer and calmer. Entirely handmade, they have been woven by hand using materials such as wool and viscose. Paula’s illustrations have been at the forefront of important projects in the fashion world, a highlight being when they were displayed on the catwalk in New York on the clothes of Custo Barcelona, ​​and also in the design world, featured in Marcel Wanders’ design studio in Amsterdam.